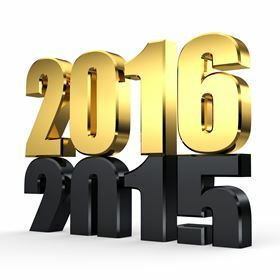 SmarTech Markets Publishing has announced its AM predictions for 2016. Metal additive manufacturing will become the focus of major 3D players in 2016: Leading 3DP players will refocus on those areas of 3D printing where growth continues to explode. These include metal additive manufacturing. Those already heavily involved in metal printing solutions will continue on their growth paths in 2016. Those only partially involved or entirely uninvolved in metal 3D printing will now set their sights on metals both to satisfy investors in the short term and shore up long-term product/market strategies. The growth in metal powder supply chain will struggle to keep pace with demand: As metal 3D printing is utilized for direct component manufacturing in increasing volumes, strain on the supply chain for 3DP-qualified spherical metal powder from verified and approved sources is possible. What could potentially cause problems is not enough supply of high-quality, defect-free metal powder in specific alloys for particular medical, aerospace, and other applications. The automotive industry will invest significantly in metal systems for R&D: In 2016 the time will finally come for widespread investment in direct metal printing technologies by the world's largest carmakers. This year won't be when tens of thousands of metal automobile components will be printed, but it will be a year where R&D and indirect 3D metal printing will take off in the automotive segment. The big question will be whether these dollars will go to specialized 3DP services for the automotive industry, or whether they will they be used to bring metal printers into car plants. Alternative Print material feedstocks enhance, not threaten, opportunities for metal powders: Metal AM isn't just about powder bed fusion or powder based directed energy deposition, but also wire-based additive manufacturing as well as newly emerging processes. In 2016 wire-based technology will grow almost entirely from aerospace industry demand. While some competitiveness exists between wire-based and powder-based approaches, neither approach will limit expansion of the other. Small-footprint metal 3D printing systems will drive growth: In 2014 and 2015 we saw huge revenue growth from large-format metal systems sales. In 2016, the market will shift to growth in smaller footprint systems aimed not just at research applications, but also for true small-scale manufacturing opportunities. These systems will play a middle role between metal 3D printing services, and large-format, production-level metal additive systems utilized in-house. The 2018 Wohlers Report, says that an estimated 1,768 metal AM systems were sold in 2017, compared to 983 systems in 2016.